We’re pleased to announce that Sally has gained the designation of Graduate Statistician (GradStat). 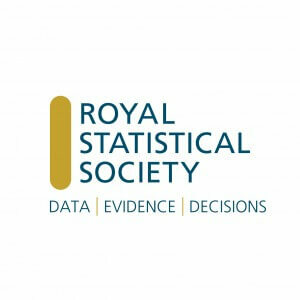 GradStat status, granted by the Royal Statistical Society (RSS), is a professional award formally recognising a member’s statistical qualifications. Sally recently achieved a distinction in her MSc in Statistics from Lancaster University, a degree accredited by the RSS. Accreditation signifies that the course meets the Society’s academic standards, measured against their qualifications framework, ensuring that an appropriate breadth and level of statistical knowledge and skills has been demonstrated at a Graduate and Masters level. As a GradStat member, Sally is required to abide by the Society’s code of conduct and to adhere to their comprehensive CPD policy. On obtaining GradStat, Sally is also now eligible to work towards becoming a Chartered Statistician, the highest professional award for a statistician which is also granted by the RSS. This award requires at least five years’ post-graduate experience as a professional statistician, in addition to an approved degree and training.